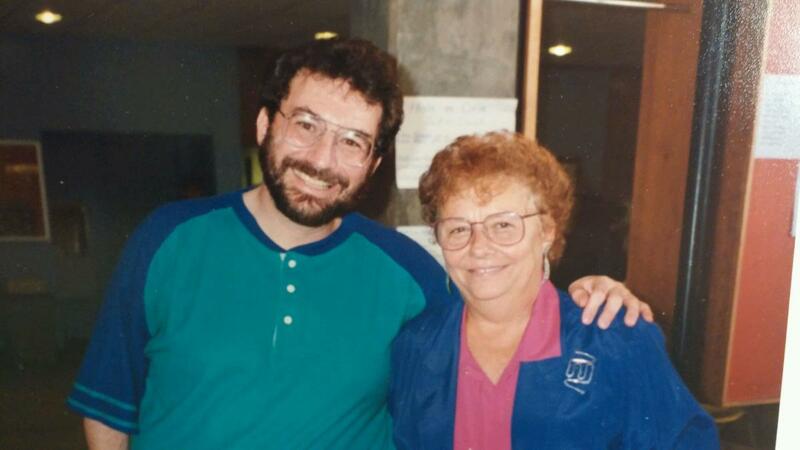 Mark Delligatti (class of 1975) and Joan Iversen in 1992, when Mark was in Oneonta for alumni weekend. Wonderful snapshot memory from Mark Delligatti. His annual trips back to Oneonta for alumni weekends for the State University of New York College at Oneonta were an occasion to also have a visit with Joan Iversen. Over the many years since his graduation, their relationship evolved from teacher-student into a friendship. Thanks to Mark for sharing this photo!